Finding solutions for a resilient future. 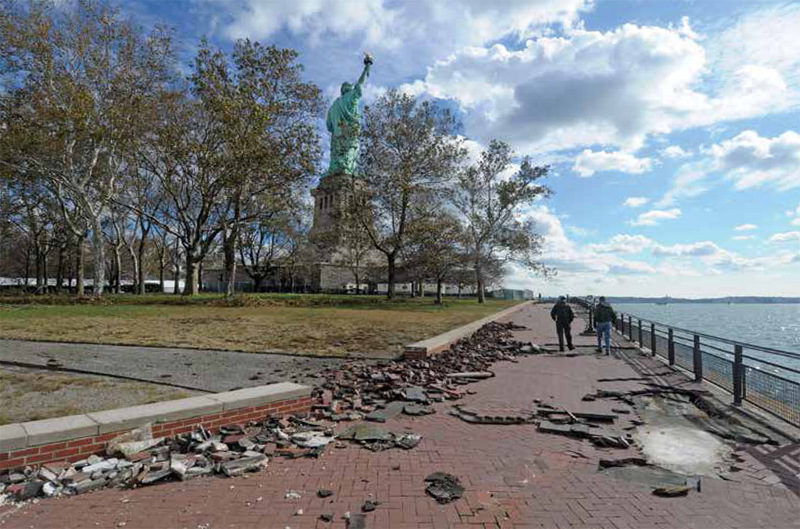 Damage to Liberty Island following Hurricane Sandy. Image source: National Park Service/Daly. By permission of Union of Concerned Scientists. at Risk: How Rising Seas, Floods, and Wildfires Are Threatening the United States’ Most Cherished Historic Sites”. The report manages to balance climate science, link historic preservation with climate change mitigation and adaptation, within a (possibly unintentionally) moving narrative of our nation’s relationship with history, emigration, and shaping of our environment.